During this time, we have learnt that camera trapping is a valuable tool for studying rare, hunted and cryptic animals, giving us an insight into these species that traditional terrestrial monitoring cannot achieve. We now want to apply this technology to understand what the impact of a controversial new road being built through the Manu Biosphere Reserve might have on the area’s biodiversity. 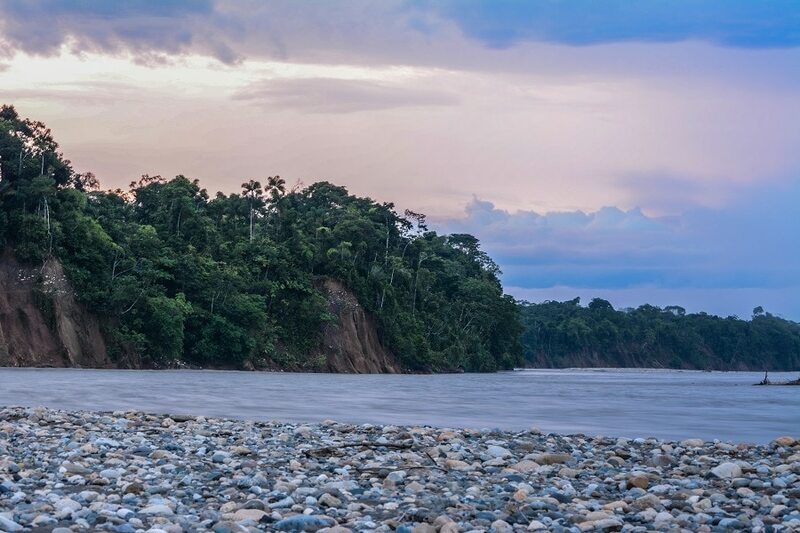 Manu Biosphere Reserve is a region the size of Wales and is made up of two areas: the strictly protected Manu National Park – the world's top biodiversity hotspot – and the Buffer Zone that forms a protective border around the park. Within the Buffer Zone there is a policy of sustainable use, whereby communities are allowed to use natural resources as long as it has a limited impact on the forest's health. Unfortunately, this isn't well managed or controlled, so illegal logging is rampant and is destroying the forest within the Buffer Zone at an alarming rate. If this continues, it's predicted that all unprotected areas within the Buffer Zone will be destroyed in 20 years’ time. The current road, known as trocha carrosable, travels through this Buffer Zone, beginning at the point the Carbon River meets the small town of Atalaya and runs to Nuevo Eden. Plans to extend it are awaiting official government approval, however its construction has already started illegally. A new 33 km expansion has been constructed beyond the native community of Shipetiari and there are plans for this to extend to Boca Manu, a small town that sits on the edge of the strictly protected Manu National Park, approximately a further 70 km. From here, it's likely that the road will be extended to Colorado Village (approximately 98 km) and connect with the Interoceantic Highway that leads into neighbouring Brazil. It’s a complex issue as roads can bring positive and negative impacts to any community. People living in Manu currently have little access to jobs, medical centres, education or markets to sell their produce. To transport food or travel they must navigate the river systems, which can be both complicated and expensive. From a social perspective, connecting these towns will benefit the communities in numerous ways and many local people welcome the road. 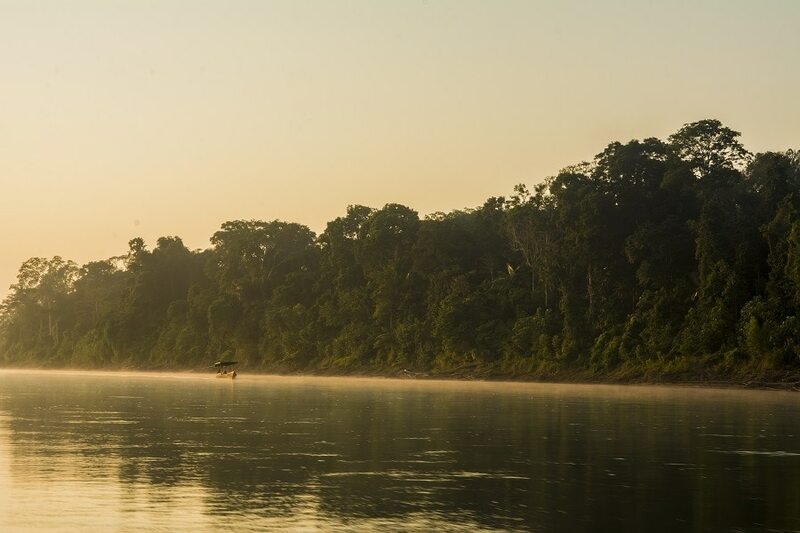 However, the road will make it easier to access the strictly protected Manu National Park and this could pose a threat to uncontacted indigenous communities who live there in isolation. From a environmental viewpoint, the road will make the forest much more accessible. Logging and hunting will inevitable become easier and cheaper. It will also break the connectivity of the forest and undoubtedly impact the number of species living there. 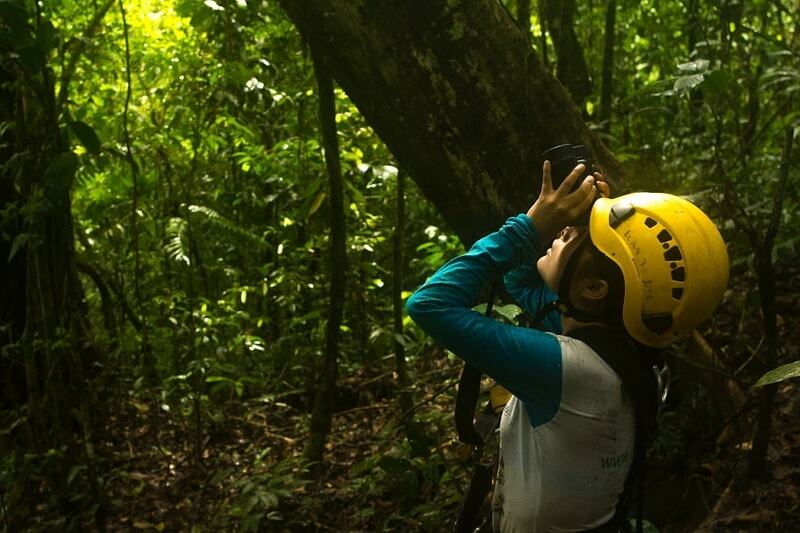 With Tree Top Manu 2017, we are aiming to measure and demonstrate the environmental impact of this road to the Madre de Dios government and the authorities of the National Park. Forest's future: What might happen? 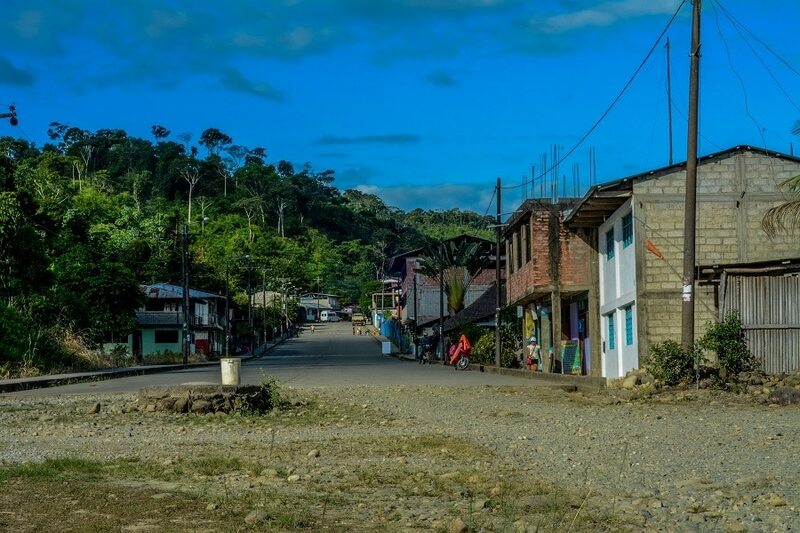 The Buffer Zone has been populated by Andean migrants since the 1950s, such as in the town of of Salvacion, where we collaborate with local people to help build sustainable initiatives to improve living standards and livelihoods. The environmental impact of a road is already evident in towns like Salvacion, giving us an insight to what the future of this Buffer Zone might look like one day. In these areas there is little forest left. Instead, we find banana plantations, grasslands for cattle, agroforestry plots and secondary pastures of forest. In many places, where it has been impossible to farm, the areas have been logged, leaving a dense bamboo forest in its place. The difference between the wildlife found in these areas compared to regenerating or primary rainforests is vast, particularly when it comes to large primates. 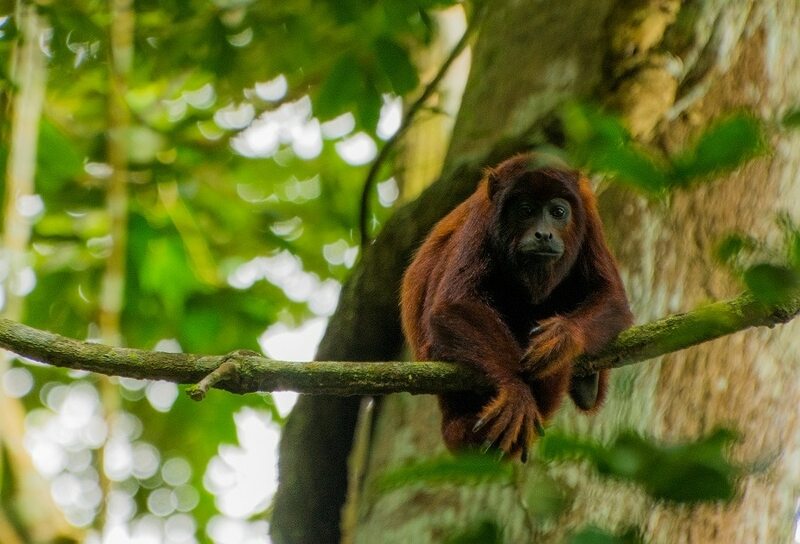 In previous years of Tree Top Manu we observed no woolly, spider or howler monkeys at all in banana plantations. The activity we did see tended to be nocturnal rather than diurnal, particularly in those areas close to the road. But does this mean it's an utterly bleak image? Not entirely. In disturbed areas, a range of smaller monkeys were spotted on our camera trap footage, such as saddle back tamarinds, squirrel monkeys, capuchin monkeys and night monkeys. The levels of terrestrial diversity were also on-par with the regenerating and primary forests studied. There are many theories as to why, ranging from the accessibility of food for wildlife living close to human populations, to another perspective we hear from local people about a religion that forbids eating animals with claws. This could be the reason that we still see comparable levels of giant anteaters, peccaries and other species who may otherwise be vulnerable to hunting. Despite this, it's without doubt that the new road will bring further disturbance to the Buffer Zone's forest, but exactly what that will look like and the impact it will have is unknown. 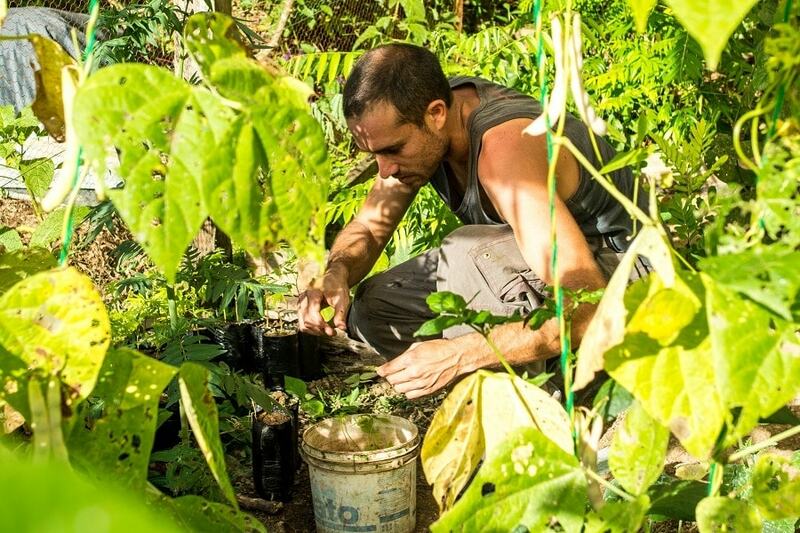 One of our strategies to improve land management in the Buffer Zone is to work with communities to create well-designed agroforestry plots, where banana plants are grown with a mix of native tree species. This creates a more complex habitat for wildlife compared with traditional agricultural techniques, while providing farmers with a sustainable source of income. It will be interesting to see what wildlife we find on the camera traps within these agroforestry areas. Hopefully it will show how sustainable land uses can satisfy both social and environmental needs. 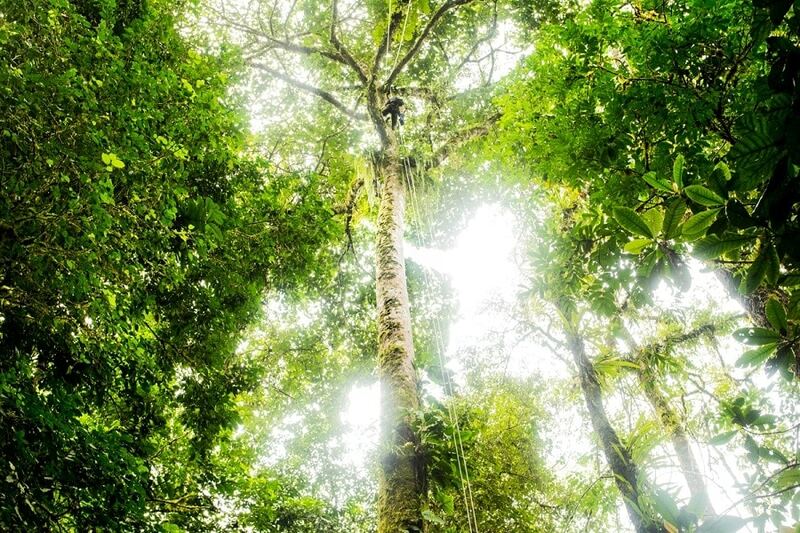 To this end, this year’s Tree Top Manu team – Ruth, Lawrence and Jhon – are setting up 75 camera traps (50 arboreal and 25 terrestrial) over the course of 30 days. After four months of anticipation they will return to pick them up and analyse the footage. Ruth, our Research Coordinator and TTM 2017 leader, spoke about how it feels to eventually look through the footage. We hope the 30 days of hard climbing, bamboo forest trekking and line-throwing will pay off with eye-opening footage like we’ve had in previous years. We’re unlikely to stop the construction of this road and so the most sustainable future for the area has to come from a collaborative management plan. This needs to be founded on research and the knowledge gained from Tree Top Manu 2017 will bring us one step closer to this goal. With this solutions-based approach, we can still create a sustainable Buffer Zone to protect Manu National Park, so that people and nature can thrive.